Wouldn't you be angry, too? If you were mythical, wouldn't you be a little pissed off that people didn't believe in you? Mythical and Angry loosely expresses the frustration felt by a range of entities (and non-entities) considered mythical around the world through a combination of funk, rock and blues. And what better instrument to convey this pent-up angst than bass trombone? The second recording by myself and Andy Edwards, this album presents a different kind of creative process than we have engaged with before. Rather than practising and recording each track live, the entirety of this album was constructed in a studio. Andy and I would write, play, or record different musical ideas for each other, and then take turns adding to each track in the studio. One session, I would play a number of solos over a groove that he had laid down a few days earlier, and another session I would record a collection of 4- and 5-part trombone lines for him to add other parts to. Each track evolved in a different way as we added material and edited parts out, rejigging and shuffling slivers of sound until we had crafted each track as you hear it today. Neither of us anticipated exactly where the process of recording this album would take us, but we are thrilled with the result. Enjoy! Massive thanks to Andy for everything – creative inspiration, technical help, and motivation to help turn a few random ideas into something tangible. Also, as always, thanks to Rob Groucutt for his help mastering the album and enthusiasm for listening to whatever recordings I send him. In the final stages of making Mythical and Angry, Andy and I made a short video about the different compositional, recording and production processes that went into the album. Have a watch, and let us know what you think either through this website or in the YouTube comments! Four conversations. Four takes. Four tracks. Freely improvising in a group is a risky endeavour as an artist. Everyone is working together to create this thing, but nobody knows what it will actually be. You don't know what it will sound like, but you'll know it when you hear it. More often than not, it's a whole series of things, a collection of precious moments which somehow emerge out of your collective efforts. The resulting performances drift through musical ideas, getting pulled this way and the next by the relative gravity of each idea. However, it could all collapse in a moment – your gut instinct could be wrong, and you end up sounding either like you're completely oblivious to what is going on around you, uninspired and stiff, or simply boring. Likewise, your intentions may be too grand for your technique, and you end up sounding incompetent. Thus, this kind of improvisation is incredibly emotional and personal, regardless of what is created. 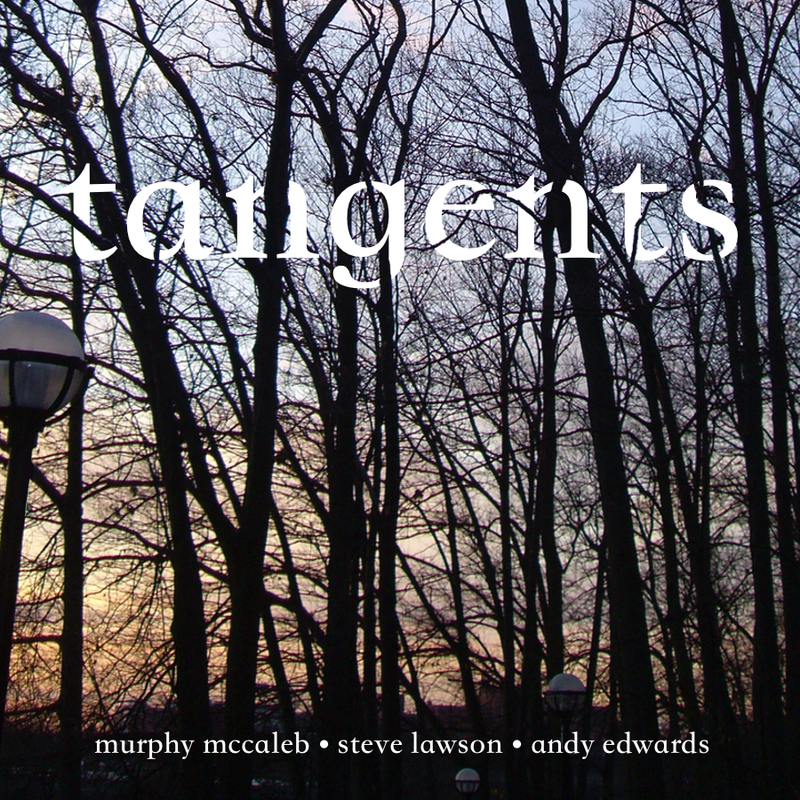 Tangents is a new album of four freely improvised tracks recorded by myself, Steve Lawson, and Andy Edwards. Each track allows a window into our interactions as musicians – what happens when our personalities collide in a studio and on stage. We don't know how you would classify what kind of performing experience we have made… but we like it. We never expected what happened, but couldn't have hoped for a more interesting musical journey. This album came together as a bit of an experiment. After teaching with Andy at Kidderminster College for a year, we started a new course: an HND in Music Performance. We insisted on hiring new lecturers who were not only at the cutting edge of the music industry, but would also challenge us musically. Thus, we hired the venerable Steve on electric bass, as well as guitarist and composer Phi Yaan-Zek. Over the year, we played together off and on during lessons, eventually leading to a recording session over the Easter holidays in 2014. Myself, Andy, and Steve recording in Kidderminster College. Photo courtesy of Rob Groucutt. At this time, I began experimenting with putting my bass trombone through live effects. Egged on by my students, I discovered an entirely new palette of sounds that were synthesised, yet created on an acoustic instrument. This has wildly changed my approach towards playing, and I am very excited to share my first steps into this kind of performance. Each track on the album is freely improvised, and we didn't agree on (or even discuss) a structure or plan before playing. However, given our gregarious natures, we did have extensive eclectic conversations before each take. As these random topics were the last things that we discussed before recording, snippets of them became the track names. Surprisingly, all of the tracks that we recorded were around the same length. Whether or not this was because we simply ran out of ideas at the 20-minute mark or because of some underlying sense of periodic form, this does mean that each track retains the ebb and flow of our improvisations as they were played live – including how they trailed off after we had exhausted ourselves, in some cases. I would like to express my sincerest of thanks to both Steve and Andy for their encouragement and enthusiasm with this project. Their astounding musicianship makes every time we play a joy. Likewise, their help in mixing, mastering, and producing the album was invaluable, and I have learnt so much from them. In addition, I would like to thank Rob Groucutt for recording and videoing our performances, as well as his input in producing the album.